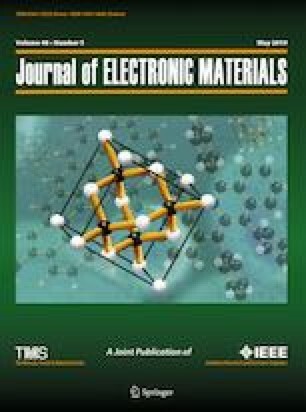 Cadmium telluride (CdTe) nanoparticles were deposited on amorphous glass and crystal quartz as nonconductive films, indium tin oxide and fluorine doped tin oxide as transparent conducting films, and silver as a metal at 100°C under pressure of 2 × 10−5 mbar. CdTe thin films prepared by a thickness about 80 nm. The results of x-ray diffraction analysis show the grain size of preferential orientation was between 5.48 nm and 15.37 nm. Also, the preferential orientation changed from (111) for non-conducting substrates to (220) for conducting substrates. The investigation of texture coefficient (TC) has indicated the deviation of TC from unity for metals substrates is further than the other substrates. The optical properties of CdTe thin films such as the optical band gap, extinction coefficient and refractive index, real and imaginary parts of dielectric constant were investigated by ultraviolet–visible spectroscopy (UV–Vis) as a function of photon energy in the wavelength range of 600–1600 nm. These measurements indicated the increasing of optical band gap by increasing the conductivity of substrates. Scanning electron microscopy analysis used to investigate the morphology of thin films. The authors would like to thank Dr. M. R. Karamad from Stanford University for his precious time to study and edit this manuscript.